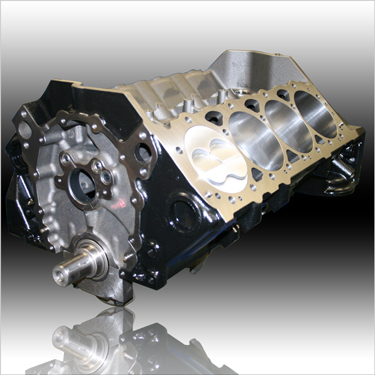 Our Econo Series 427 Shortblock Offers The Budget Minded Racer A Quality Machined and Assembled Shortblock At A Very Affordable Price! Includes: Custom Steel Billet Roller Cam, Rollmaster Billet Timing Set w/IWIS Chain & Torrington Bearing, Cam Button & ARP Cam Bolts, Official GM Performance Chrome Timing Cover and Tavia Pointer, SFI Harmonic Balancer, Moroso Custom Stroker Oil Pan w/Windage Tray, Moroso Oil Pump & Severe Duty Tig-Welded Pick-Up. All Gaskets, Seals And Hardware. Completely Assembled With Camshaft Degreed And TDC Verified And Set.